21 piste(s) Electronic sur 121 MusicStore, en MP3 HD et sans DRM. [En] This album is nominated for a Grammy Heralded by the Village Voice as ?one of the best live dance acts on Earth,? The Crystal Method?who is Ken Jordan and Scott Kirkland?have been known over the last 10-plus years for their enduring dancefloor anthems (?Now Is The Time,? ?Keep Hope Alive? ), airwave smashes (?Trip Like I Do? ), a willingness to collaborate with an array of talent?including rock?s elite like Scott Weiland, Matisyahu, New Order?s Peter Hook and Filter?s Richard Patrick. The duo has dominated the remix, film soundtrack, television, gaming and advertising worlds. Their platinum-status debut album Vegas (released in 1997) is one of the biggest-selling electronic albums of all time, landing them in the top five of best-selling electronic acts in America. They scored the film London as well as the themes for TV shows ?Bones? and ?Third Watch? and were the first act to work with Nike for their running soundtrack series, but it?s Divided By Night?their 2010 studio album that takes The Crystal Method to all new heights. For up to date information log on to: www.thecrystalmethod.com and www.myspace.com-thecrystalmethod. 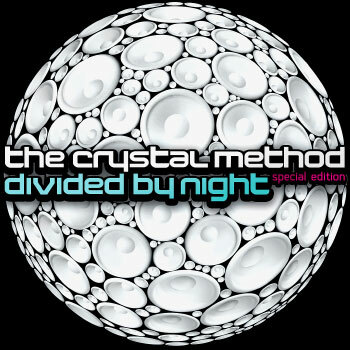 La description de l’album Divided By Night (special Edition) de The Crystal Method Featuring Jason Lytle n’est pas disponible actuellement. Commentez cet album et gagnez des cartes de téléchargement gratuit et/ou des Ipods Apple.